I´m growing our baby number two and in just three months he will arrive. We´re thrilled to be experiencing this moment once again. And for sure it will be somewhat different than the first time, as now we know (or at least think!, we know) more about what to expect. But I know for sure, it will be just as special welcoming a new little baby boy into the world. I can't wait to hold him, look at him and smell him - that newborn sent I remember from Walter. It´s so lovely! Now being 2/3 of production I´m slowly starting to prepare for his arrival. Of course, we have a lot of clothing and things kept from Walter that he can use, but I want to have something for him. I´ve discovered this brand millk via Instagram and I´m loving it for babies! Millk offers a handful of clothing designed and handmade with comfort, style and practicality in mind. 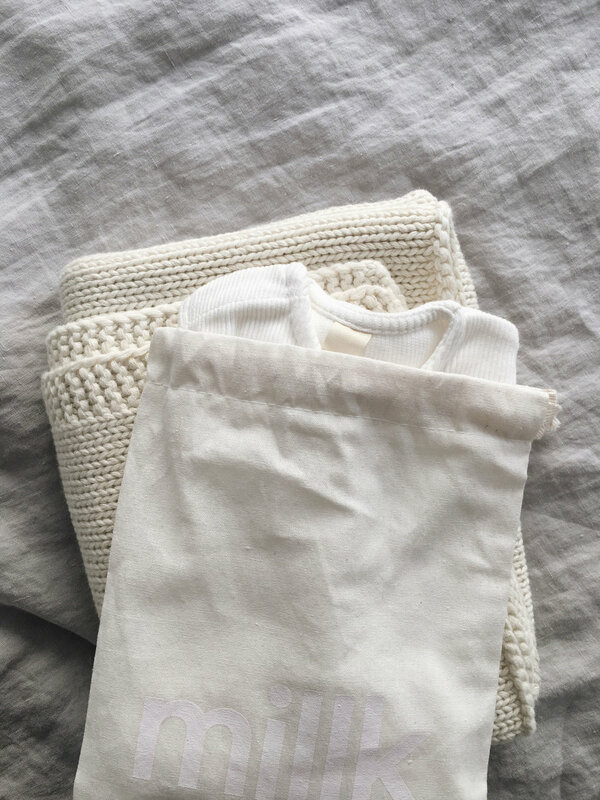 For our november baby I found online from millk everyday the newborn baby blanket - cream in onesize. It´s so soft and knitted in 100% cotton. I just can't wait to swaddle him into this blanket. I remember the one-pieces worked for Walter being 0-6 months. 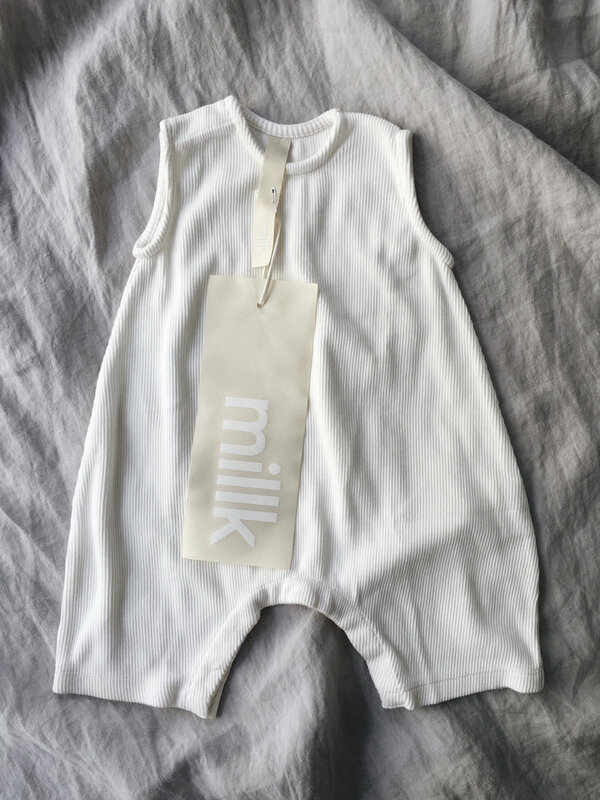 So I´ve added from millk onesies the essential overall - white in 3-6m. It´s unisex and I like the loose and relaxed fit. In soft cotton spandex rib and with snap button shoulder and button crotch entry! Sounds just perfect for parents too. I already imagine him in his millk and I would love some pieces for Walter too, but all his sizes was sold out when I ordered weeks ago. However, new millk pieces are available now and I should start browsing now before it´s too late to get some millk!